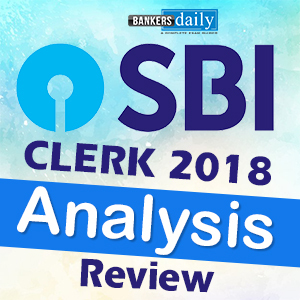 The South Indian Bank Probationary Clerk Exam 2018 is happening today and we will have the review and analysis of South Indian Bank Probationary Clerk Exam 2018 after the exam is over. To add more to the excitement , we will also go LIVE in YOUTUBE and also in BANKERSDAILY from this time and you can expect the same for all the exams in the forthcoming days. 1. How tough is the Questions in the South Indian Bank Probationary Clerk Exam 2018 ? 3. New Pattern / Old Pattern Questions ? 4. If new pattern questions , in which section, they are asked ? 7. How many Computer Aptitude Questions are asked in the South Indian Bank Probationary Clerk Exam 2018 ? 8. Is the South Indian Bank Probationary Clerk Exam 2018 in the Easier Level or Tougher Level ? 12. Any New Pattern Questions asked in the South Indian Bank Probationary Clerk Exam 2018 ? Alternately users can attend the POLL to help us in defining the Exact number of questions, the candidates have attended in the South Indian Bank Probationary Clerk Exam 2018. This will be helpful for the other candidates who have written the exam to evaluate themselves about their performance in the exams. The Quantitative Aptitude section was in the easier side in the South Indian Bank Probationary Clerk Exam 2018. 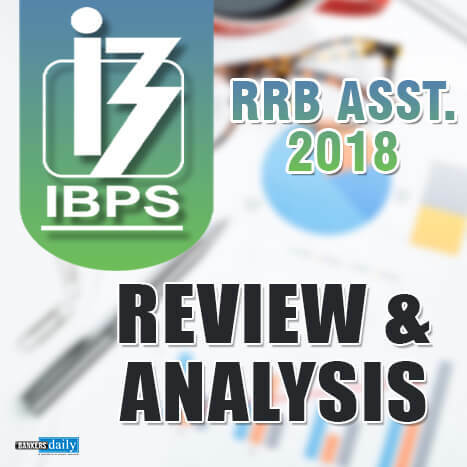 One who used to solve a lot of questions from the Quantitative Aptitude section could have solved more questions in the South Indian Bank Probationary Clerk Exam 2018. Q1. Who is the chairman of SEBI ? Q3. World food day is celebrated on ? Q4. Mudra full form ? Q6. Under which act Rbi issue currency ? Q7. On which date , the 100th year of One Rupee note is celebrated ? Q8. Who is the chairman of Lok Sabha? Q9. Who is the head of Niti Ayog ? Q10. Which film won the best film in the Joi Film Awards ? Q12. What is the full form of PCA ? Q13. Who won param vir chakra award ? Q15. Which state organized coffee day in this year ? Q16. Mascot for 2018 football World Cup ? Q17. 2018 commonwealth games going to held in ? Q18. Who is the Chief Minister of Gujarat ? Q19. What is the Full form of MUDRA ? Q20. Who is the most followed Indian in Twitter platform ? Q21. Who issues Commercial papers ? Q22. Where is the Largest Floating power plant inaugurated recently ? Q23. Who issues the Sovereign Gold Bond ? Q24. Who won the Man Booker Prize in the year 2017 ? Q25. Who is the first wrestler from India to enter WWE recently ? Q26. Who heads Infosys currently ? Q27. From when will IPPB effective ? Q28. What is money laundering ? Q29. What is the upper transaction limit of RTGS ? Q31. Who is the present Indian Olympic Association President ? Q32. Which state recently launched the first AC suburban train ? Q33. YONO is an app recently by which Bank ? Q34. In which year , Aditya L1 is expected to be launched ? Q35. Who is the author of the famous book, “The Ministry of Utmost Happiness” ? Q36. Which is the first bank in the country to leverage on Apple’s Virtual voice assistant to enable cross border remittances. sir, would you guide me to prepare for ecgc Po 2018 ? We will discuss the questions asked in the South Indian Bank Afternoon Batch in today’s LIVE. Sorry we have planned for only one LIVE session yesterday.